Spend the weekend off the beaten track/water! 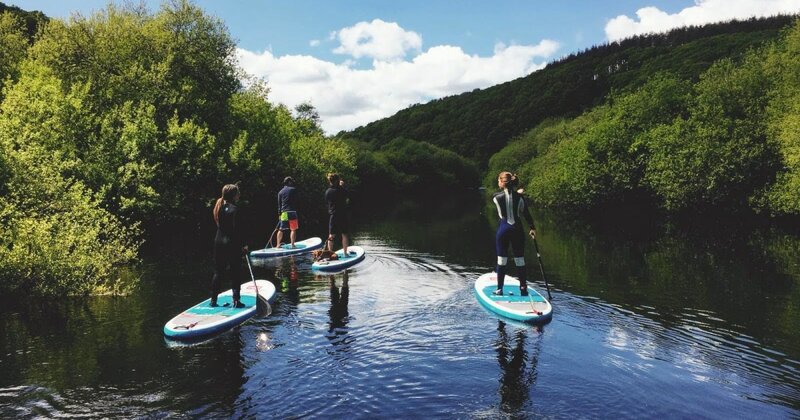 You will be hosted for 2 days and 2 nights of Stand Up Paddleboard (SUP) coaching, guiding and general adventures at the secluded Lopwell Barn. 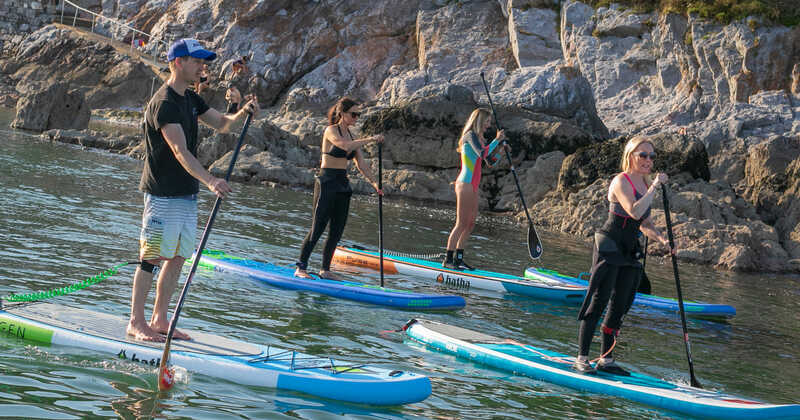 With direct access to the river Tavy for perfect SUP conditions and journeys, we will also head out onto nearby Dartmoor National Park for rock climbing and abseiling when the tide is out, given the ultimate experience of adventure packed all in to a weekend! This weekend is perfect for complete beginners to experts, its all about the experience! All age-groups above 18 are welcome. We get a mix of ages of like-minded people, so it's great to meet others! Please let us know if there are any questions. We'd be happy to help. 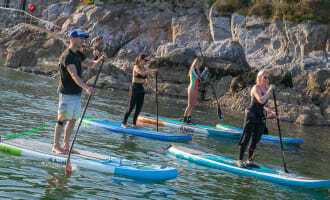 Stand Up Paddle Boarding session at the beautiful area of Lopwell! Start your day with an energising Yoga session on the lawn outside Lopwell barn, overlooking the beautiful river Tavy. After a delicious breakfast we will run a morning of SUP coaching, developing your skills and getting to explore the surroundings. Whatever your level, from complete beginner to regular paddler, we will bring on your skills with a maximum ratio of 1 Instructor to 5 paddlers and show you a great time in the process! We'll stop for lunch at the barn and then head out onto local area for a land based adventure; rock climbing with our certified and very experienced climbing instructor. The days are flexible and we can amend as necessary. You can take part in the activities you wish or just take advantage of the stunning grounds to relax and wind down. 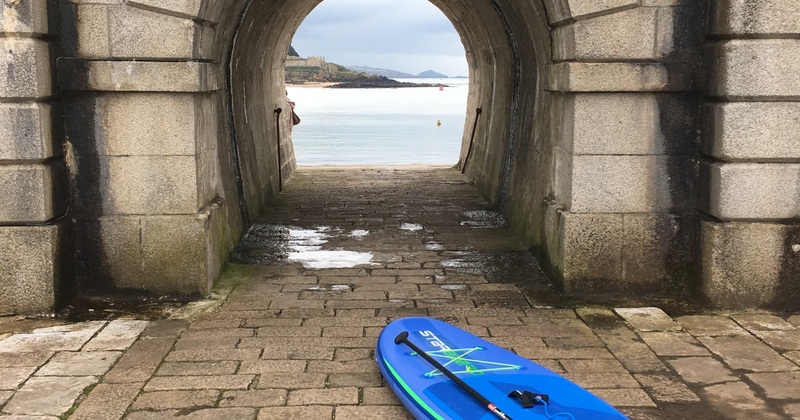 SUP journey down to the village of Bere Ferres in Cornwall! Sunday starts with Pilates on the lawn, stretching out those tired limbs, ready for another day of adventure! 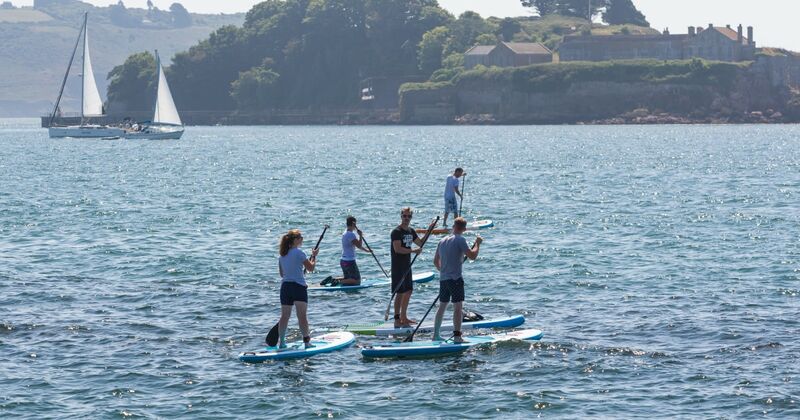 After breakfast we will head out onto the water for a SUP journey down the river Tavy to Bere Ferres. This is a beautiful journey, with plenty opportunity for coaching and safety tips along the way. This is a remote section of river with chances to see otters, a lot of birds and fish. Stop for lunch at Bere Ferres, before we journey back to Lopwell. You'll leave this weekend feeling fully refreshed, like you've had an awesome adventure in stunning scenery and met like-minded adventure-seekers.